Cabbage is a biennial vegetable so it doesn't produce seed until its second year in the garden. Getting seeds from cabbages takes patience, as seed is set just after spring flowering in the second year. Saving your own seed allows you to plant your garden each year without the expense of purchasing seed, while also ensuring seed for your favorite cabbage varieties is always available. Mulch heavily over cabbage plants in fall to protect them from any winter freezes, otherwise the plants may not survive to produce seed. Cut off the flower stalks once the flowers have withered and the seedpods have begun to brown and dry. Seedpods form directly behind where the flowers are located. Strip the pods from the stem. Dispose of any that are still green in color, as they will not produce viable seed. Place the pods into a cloth bag. Alternately, place the pods on top a square of cheesecloth and secure the cheesecloth closed around the pods with a rubber band. Smash the bag with a rubber mallet until all the pods are forced open. Set a bowl on the ground outside on a breezy day. Hold the bag 2 to 3 feet above the bowl and pour the seeds into the bowl. The breeze blows away most of the pod material and chafe. Pour the seeds back and forth between two bowls to blow away more chafe, as necessary. Place the seeds into a plastic bag and seal closed. Label with the type of cabbage and the year harvested, then store in a dark, cool place until you are ready to plant them. Cabbage seeds remain viable for four or more years. Cabbage easily crosses with broccoli, cauliflower and other members of the cabbage family. Space beds of different varieties 1,000 feet apart or only grow one variety in the garden each year to prevent this. Plant at least six cabbages for seed production. This encourages genetic diversity and cuts down on the chance of diseased seed stock. 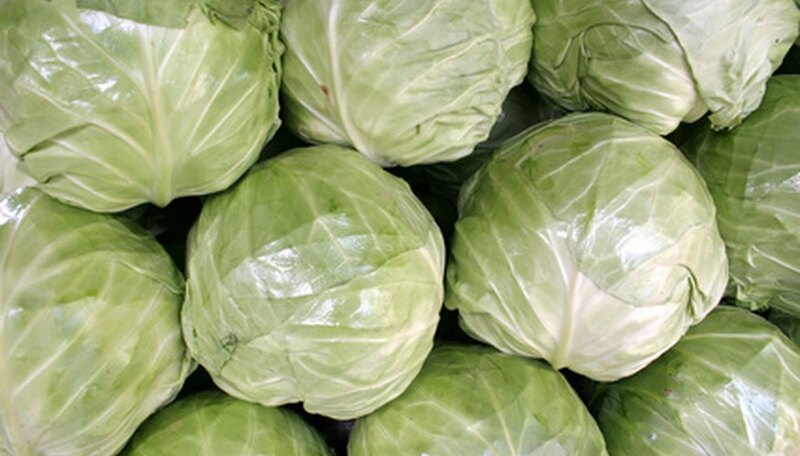 Many cabbage varieties are hybrids, so will not produce viable seed. Save seed only from cabbages listed as non-hybrid or heirloom on the original seed packet or plant label.